The neurobiology of learning, with a particular emphasis on the function of cortico-hippocampal subregions. My vision is to understand the neural basis of psychological phenomena. I have focused my research on spatial navigation and memory because this is a fundamental cognitive function that we share with all animals. Most of my research has been in collaboration with Edvard Moser. Through combining advanced inactivation techniques, anatomical approaches and recording methods, our efforts have resulted in several important discoveries. The most spectacular finding was the discovery of grid cells in the entorhinal cortex. The discovery of grid cells was succeeded by the identification of other functional cell types, including head direction cells, conjunctive cells, border cells and speed cells; and collectively the findings point to the entorhinal cortex as a hub for the brain network that makes us able to find our way. The grid cells are thought to provide the brain with information about the metrics of the spatial environment. Our papers have attracted special interest because spatial representation is one of the first functions to be characterized at a mechanistic level in neuronal networks. Lu L, Leutgeb JK, Tsao A, Henriksen EJ, Leutgeb S, Barnes CA, Witter MP, Moser M-B and Moser EI (2013). Impaired hippocampal rate coding after lesions of the lateral entorhinal cortex. Nature Neurosci., 16, 1085-1093. Moser EI and Moser M-B (2013). Grid cells and neural coding in high-end cortices. Neuron, 80, 765-774. Giocomo LM, Stensola T, Bonnevie T, van Cauter T, Moser M-B and Moser EI (2014). Topography of head direction cells in medial entorhinal cortex. Current Biology, 24, 1-11. Rowland, D.C. and Moser, M.-B. (2014). From cortical modules to memory. Curr. Opin. Neurobiol., in press. Bjerknes TL, Moser EI, Moser, M-B (2014). Representation of geometric borders in the developing rat. Neuron, 82, 71-78. Igarashi KM, Lu L, Colgin LL, Moser M-B, Moser EI (2014). Coordination of entorhinal-hippocampal ensemble activity during associative learning. Nature, 510, 143-147. Moser EI, Roudi Y, Witter MP, Kentros C, Bonhoeffer T, Moser M-B (2014). Grid cells and cortical representation. Nature Rev. Neurosci., 15, 466-481. Alme CB, Miao C, Jezek K, Treves A, Moser EI, Moser M-B (2014). Place cells in the hippocampus: Eleven maps for eleven rooms. Proceedings of the National Academy of the Sciences USA, 111, 18428-18435. Bjerknes TL, Langston RF, Kruge IU, Moser EI, Moser M-B (2015). Coherence among head direction cells before eye opening in rat pups. Current Biology, 25, 103-108. Rowland DC, Moser M-B (2015). A three-dimensional neural compass. Nature, 517, 156-157. Stensola T, Stensola H, Moser M-B, Moser EI (2015). Shearing-induced asymmetry in entorhinal grid cells. Nature, 518, 207-212 (Article). Ito HT, Zhang S-J, Witter MP, Moser EI, Moser M-B (2015). A prefrontal-thalamo-hippocampal circuit for goal-directed spatial coding. Nature, 522, 50-55 (Article). Kropff E, Carmichael JE, Moser M-B, Moser EI (2015). Speed cells in medial entorhinal cortex. Nature, 523, 419-424 (Article). Lu L, Igarashi KM, Witter MP, Moser EI, Moser M-B (2015). Topography of place maps along the CA3-to-CA2 axis of the hippocampus. Neuron, 87, 1078-1092. Miao C, Cao Q, Ito HT, Yamahachi H, Witter MP, Moser M-B, Moser EI (2015). Hippocampal remapping after partial inactivation of the medial entorhinal cortex. Neuron, 88, 590-603. Moser, M.-B., Moser EI (2016). Where am I? Where am I going? Scientific American, 314, 26-33. Rowland, D.C, Roudi, Y., Moser, M.-B., Moser, E.I. (2016). Ten years of grid cells. Annual Reviews of Neuroscience, 39, 19-40. Donato, F., Jacobsen, R.I., Moser, M.-B., Moser, E.I. (2017). Stellate cells drive maturation of the entorhinal-hippocampal circuit. Science, 355(6330), pii: eaai8178. (Research Article). Nature, Science, Nature Neuroscience, Neuron, Journal of Neuroscience, European Journal of Neuroscience, Behavioral Neuroscience, Hippocampus, and other journals. Has appeared in local newspapers and in national television shows, including twice on Scandinavia's most popular talk show: "Skavlan"
Research is frequently quoted in international newspapers and magazines. 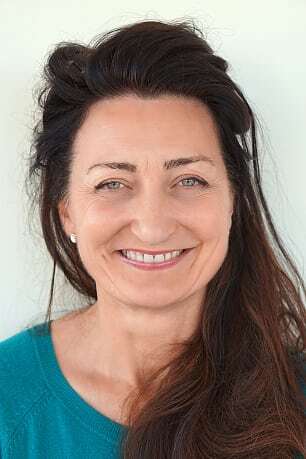 Nobel Prize for May-Britt Moser! The 2014 Nobel Prize in Physiology or Medicine goes with one half jointly to May-Britt Moser and Edvard I. Moser, and with another half to John O'Keefe for their discoveries of cells that constitute a positioning system in the brain.